Christy was her name and she was beautiful to me. She was a china doll that had seen so much love that her cloth body had started to fall apart. I knew my parents would buy me a new china doll but I wanted Christy. I asked my dad to fix her. My dad became the dolly doctor and sewed her full of newspaper to hold her body together. The dolly doctor would need to sew her many times but even with her stuffing coming out she was perfect to me. One of my proudest moments was in 2nd grade when Christy played Jesus in our Christmas play. Lori was a sweet girl but very forgetful. I knew when she was asked to play Mary in our play and to bring in her doll from home she would forget that doll. I thought to myself they may not want my Christy since she's not a perfect looking doll in their eyes but if Lori forgot as I suspected and I brought in my Christy they would have no choice. I hid Christy in my backpack awaiting the right moment to share my beloved doll. Our teacher asked Lori where her baby doll was and Lori began to cry and said that she forgot. I grinned from ear to ear as I made Christy appear to my stunned classmates and teacher's delight. I said 'she may not look perfect to everyone but to me she is and she'll be the perfect baby Jesus.' My teacher teared up and hugged and thanked me. I remember the shear joy I felt that day as I watched my Christy wrapped in a blanket in Lori's arms. Little Drummer Boy played and I beamed knowing my doll who had been sewed with the dolly doctor's love had saved the day. Over 30 years later I would beam with that same joy when my son came out of having top surgery to remove his breasts that had been torturing him. He smiled the biggest smile I had ever seen. He said "Mom, thank you. I love you so much and I am sorry I don't tell you that enough." My son wasn't what I had expected when I decided to become a mom. He was born August 14, 1998 and was assigned female at birth but I would learn 12 years later when he came out me as transgender that he was actually my son. At first I felt much grief as many parents of transgender kids feel. I felt as if my daughter died but there wasn't a funeral, any mourners, sympathy cards, a casket or a body to put in it. It wasn't as if no one cared but it was because my child was still alive just in a different package. I receive emails weekly from parents who have read my blog and wish to join my Facebook group for parents of transgender kids. They almost always start by asking how they get past their grief so they can support their child who they still love so. They talk about their expectations being crushed of either walking their daughter down the aisle or seeing their son as the football star. They can't seem to let go of these expectations. I advise them to hold on to love of their child who did indeed survive and will flourish if they can remember that love and let go of their expectations. I've learned through this journey with my son that our children are not an extension of us and are instead their own individual people and should be respected for that. I realized who am I to tell my son what his gender is, only he can know that. It is not my job as a parent to place my expectations on him, instead it's my job to love and support him just as he is. During this Christmas season a sweet young girl has taught the world the true meaning of it all. Her name is Sa'Fyre Terry and she has the secret. Sa'Ffyre lives close to me in the town I was born in Schenectady, NY. 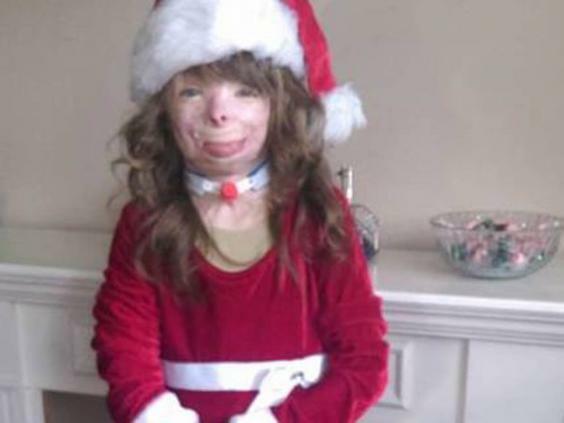 She lost her father and siblings in a horrific house fire where she was burned badly. She had one very small Christmas wish, to fill a small Christmas tree with Christmas cards. Her aunt who now has custody of Sa'Fyre posted this request on Facebook and the world saw Sa'Fyre's fighting spirit and answered overwhelmingly with their giving spirit. She has since received over 400,000 Christmas cards, thousands of packages from around the world and a trip to Disney. Many people see Sa'Fyre's burns and scars and respond with pity, but I don't. I certainly feel bad for the horrific tragedy Sa'Fyre has faced but I also see the grace she has handled it with. I see how her aunt who I am sure did not expect to face these difficult circumstances and has learned along with Sa'Fyre the meaning of unconditional love and true happiness. True happiness comes from the little things in life, by being grateful for what you already have and by loving each other unconditionally. Sa'Fyre has learned the secret of happiness that many perfect looking wealthy models may never learn and that is priceless. 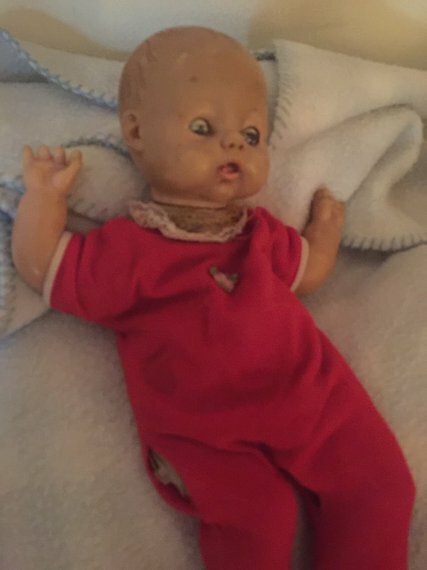 I still have my beloved Christy doll and to me she is as beautiful as ever. 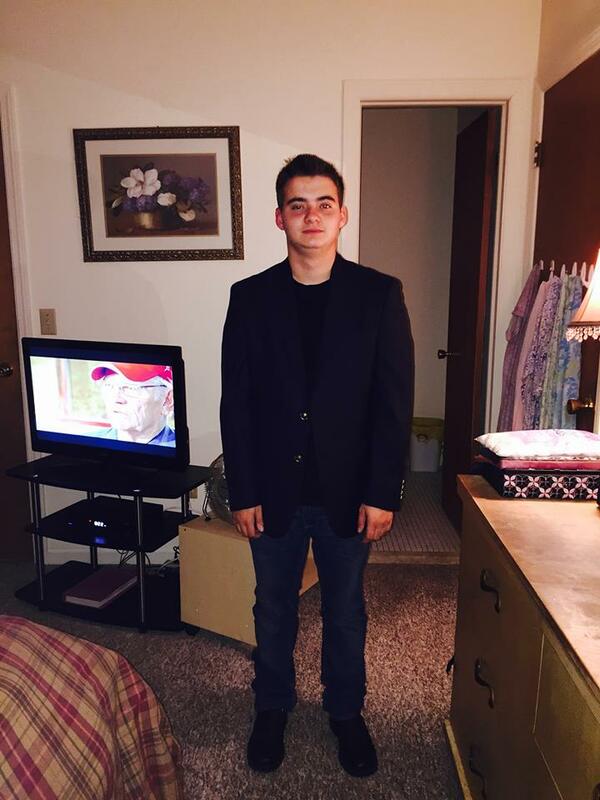 As my 17-year-old son ends his high school career and looks towards college next year I beam with pride. It's true I won't get to see him in a wedding dress but instead the thought of him in a tux sounds pretty terrific to me. This Christmas my wish for the world is that we not focus on the tragedy going on around us and instead on the sheer giving that Sa'Fyre in her own beautiful way has shown us all.